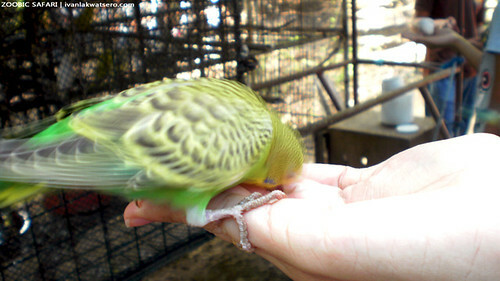 Our adventure began as we entered a large cage where different species of birds fly freely. 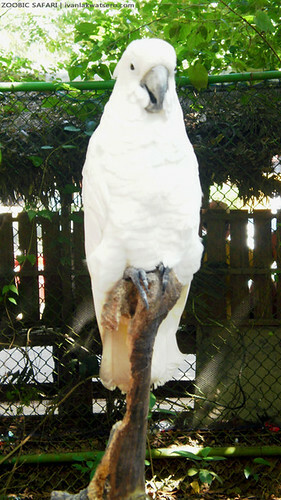 White Umbrella Cockatoo, African Grey Parrot, Philippine Eagle Owl, Golden Pheasant, and Palawan Hill Mayna are among the avian population inside the cage. 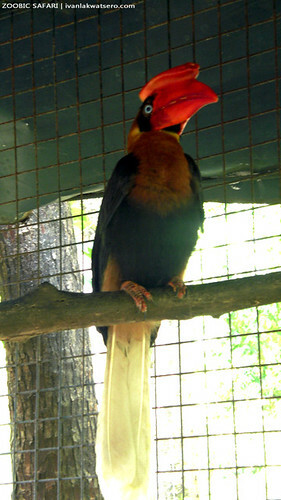 Inside the cage, visitors can also have photo opportunities with these feathered friends for P20 or P15. 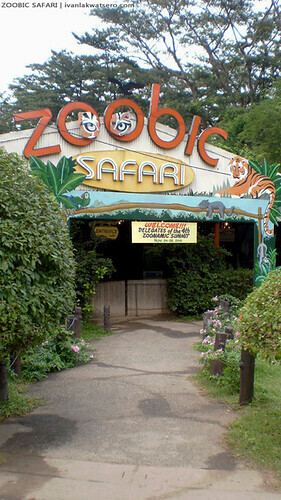 We continued the tour towards the mammalian section of the safari. 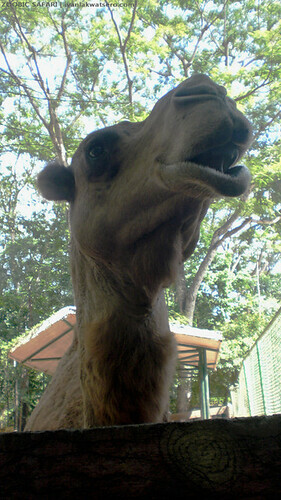 Majority of the animals there are farm animals, which includes different species of horses and sheep. 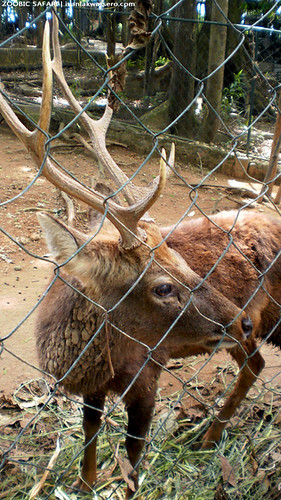 Deer and camels are also present in this section. Don't miss the fun of milk feeding the baby sheep which costs P30 per bottle. 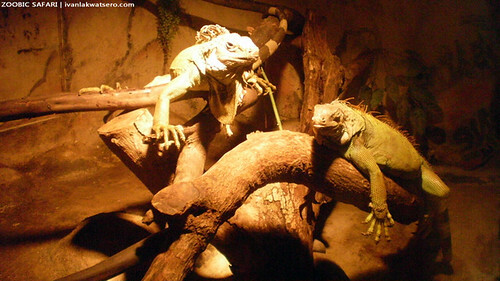 We also entered tunnel-like house which harbors the reptilians. 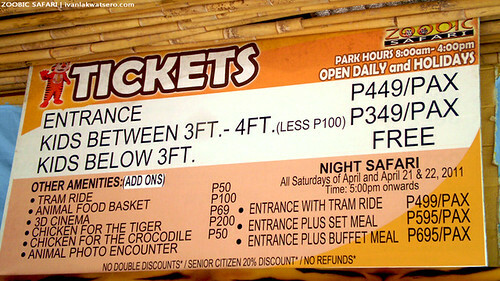 Snakes, lizards and small crocs are found inside. 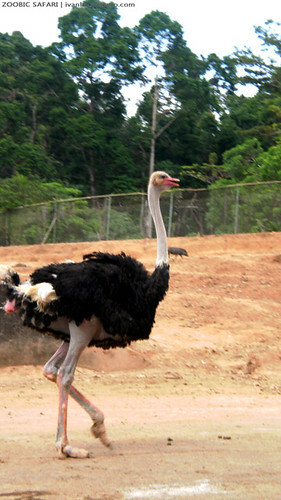 The next part of the tour involves the close encounter with the ferocious big cats. 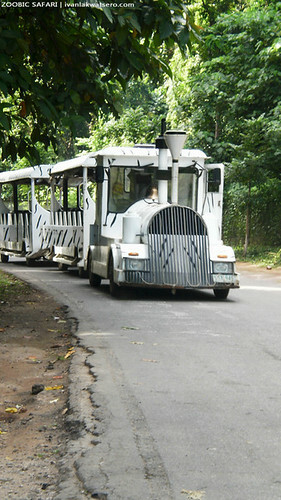 The Tiger Safari experience is my favorite in this whole trip. 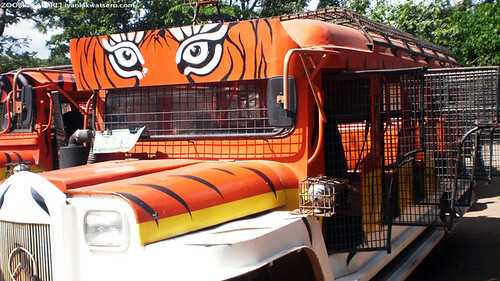 It was a bumpy ride inside this fenced compound, tigers are just around watching at us. Only when our guide brought out the raw chicken (P200 each) that the tigers approached out jeep. I saw before me the eyes of ferocity. 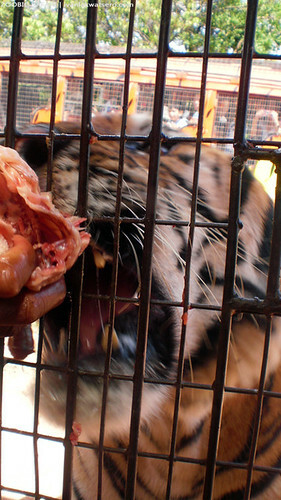 We can see, hear, and smell the mouth of the tiger as it munch and bite our chicken. It was really cool, especially when the big cat jumped over our jeep. It was however a quick 5 minutes close encounter with the tigers. 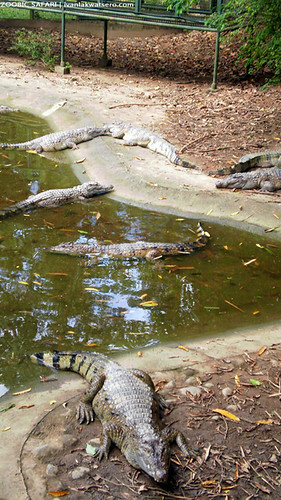 The Tiger Safari was followed by the Savanna (encounter with the ostriches and warthogs/pot-bellied pigs), the Animal Muzooeum (an exhibit of animal bones and furs), the Aeta Trail (encounter with the Aetas, and their rich culture) and finally the Crocodile Farm (of course there are crocodiles). 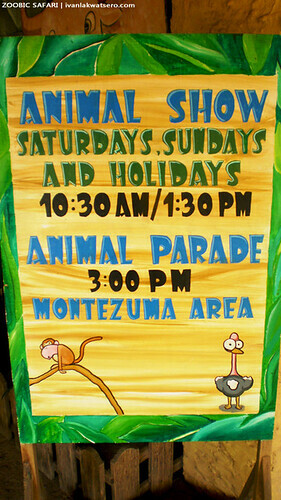 Take some time to also watch their Animal Show/Animal Parade in the afternoon which is fairly entertaining. 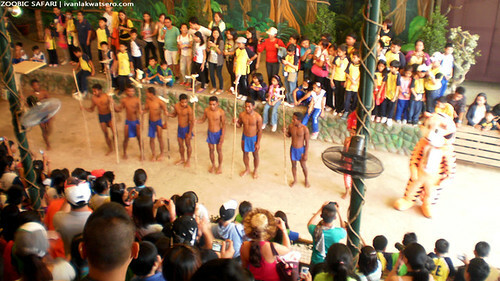 You will witness there Aeta presentations and of course a parade of some of their gorgeous animals. 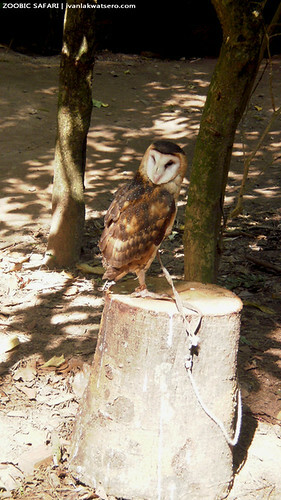 This place will definitely amuse not just families and kids but also the people with high inclination to wildlife and biodiversity.